Whether you're planning a multi-generational family trip or a girls' or guys' getaway to Gulf Shores, golfing can be the perfect activity to bring your whole group together. There are plenty of options for golf courses in Gulf Shores, and here are our tips for making your Gulf Shores golf trip an ace-in-the-hole! With nearly 20 courses around the area, Gulf Shores is sure to have the perfect golf course for you and your group. Gulf Shores is home to Kiva Dunes, the number 1 ranked golf course in Alabama and a public course. Winding through wetlands and sand, Kiva Dunes is a beautiful seaside resort with a course complete with rolling fairways, dunes, and bunkers. This course is a must-play in the area, and has even earned recognition from Golf Digest, Golf Magazine, and Links Magazine. Kiva Dunes is also home to big, gorgeous beachfront homes - check out Kiva Grand and Viva La Kiva if you want to try staying at the resort! Located 6 miles west of Gulf Shores Parkway and only about 15 minutes from the West Beach area of Gulf Shores, Peninsula Golf & Racquet Club is a 27-hole facility situated next to the peaceful Bon Secour Wildlife Preserve. The club is known for its commitment to customer service, which goes above and beyond with chilled apples available at the first tee. If you're looking for a challenge, try the Marsh-Lakes course! The club has three different courses with three different tees, and is also known for its courses' interesting layouts and excellent greens. Designed by golfing legend Arnold Palmer, Craft Farms features 36 holes sure to have something for every golfer in your group and is located just 4 miles north of the beach. Craft Farms courses include the Cotton Creek course, which plays 7,200 yards from the back tees, and the Cypress Bend course, which plays 6,848 yards from the back tees. Both courses include sand bunkers, water features, and rolling greens. Voted the best golf course in the U.S. in 2016 by GolfAdvisor.com, Gulf Shores Golf Club is a great option for your golf getaway. No matter the skill level of your group, Gulf Shores Golf Club's knowledgeable staff can tee you up for the perfect day on the greens. The club was one of the first golf courses in the area, and while much of the course was renovated in 2005, the clubhouse maintained its traditional plantation-style. The 18-hole course layout includes wildlife, water hazards, and oak and pine trees. 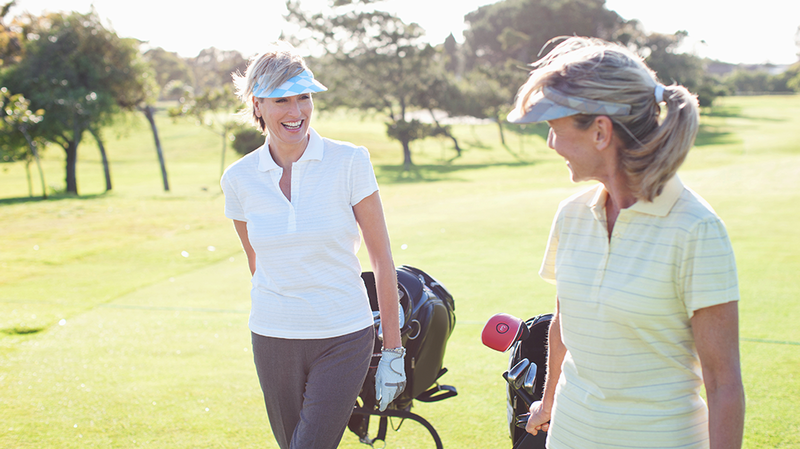 View more tips for golfing at Gulf Shores Golf Club. Beat the heat. Golfing around our area can be a little warm and muggy in the summer, but winter and spring is the perfect time of year to get a few rounds of golf in. If you are playing May through September, play early or late in the day to beat the heat. Plan ahead and book in advance. Be flexible! Scout for deals. Many courses have 6-pack specials! No matter your group size, let Gulf Shores vacation rental help you plan the perfect Alabama golf getaway. Browse our available vacation rentals or give us a call today!